One theory is that they were used during dam construction. A more interesting proposition is that they were used to scout locations for Minuteman missile silos. Although President Dwight Eisenhower didn’t authorize the Minuteman program until 1958, the military was already planning a missile defense in ’54. It’s conceivable that Army engineers could have been searching the backcountry for good bases early in the game. Who rode in the wagons is also not known, but it’s speculated that the expensive wagons were used for VIPs rather than surveyors or workmen. Four-wheel drive would have been an important factor in the purchase of the wagons. 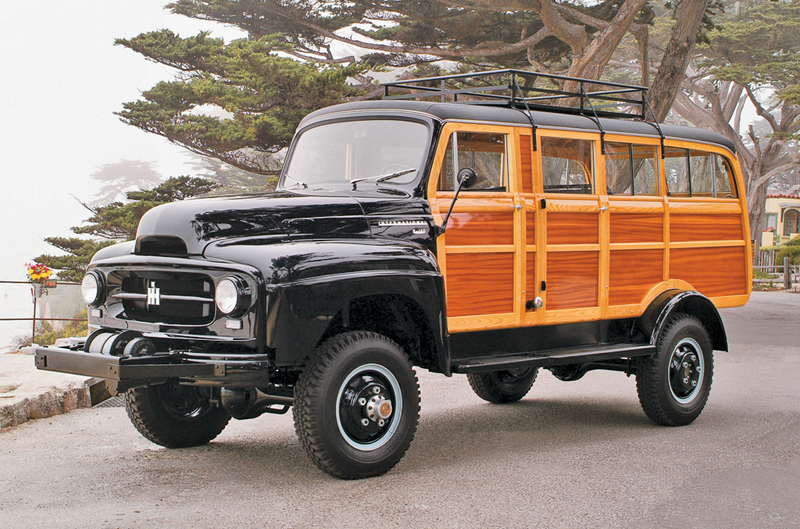 International added factory-built 4x4s in 1953—several years before Ford and Chevrolet came out with their own four-wheelers. International’s set-up included a two-speed transfer case with a low range for crawling at low speeds off road. 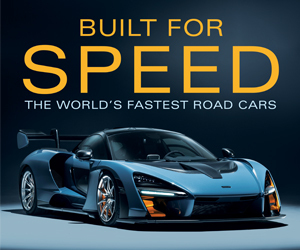 A raised suspension provided monster-truck-like ground clearance. The Army Corps also ordered front-bumper-mounted winches for the unlikely event that these wagons ever got stuck and had to be pulled out of the mud. Like factory-supplied four-wheel drive, the R-series itself dated to ’53. The R was a facelift of International’s postwar L line brought out in ’49. Both series featured leaf springs and solid axles at each end. 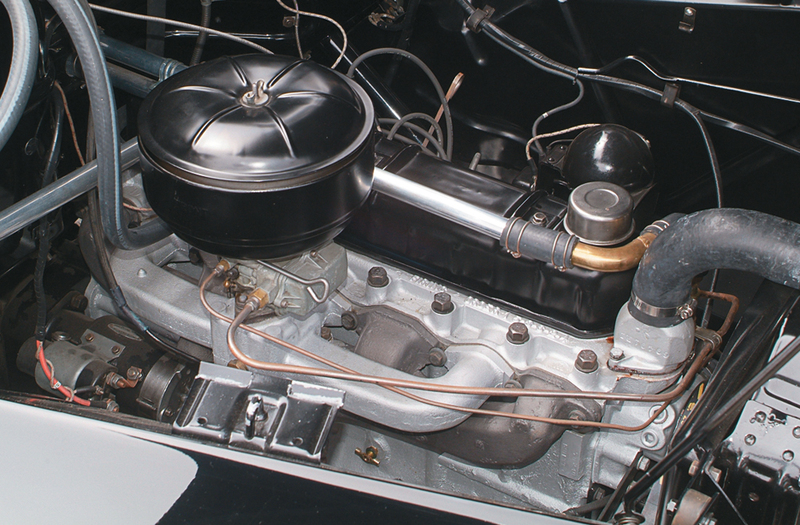 Power for the R-140 was a “Silver Diamond” 240-cid ohv six rated at 107 hp. 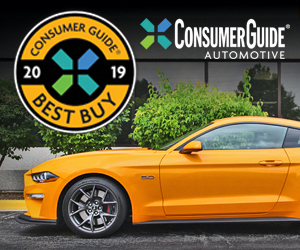 The standard transmission was a four-speed manual. Internationals were heavy-duty trucks and that solid construction contributed to a total weight of almost 8500 lbs for the wagon. The R-140 was rated as 1¼-ton truck, which meant it could carry a 2500-pound payload. 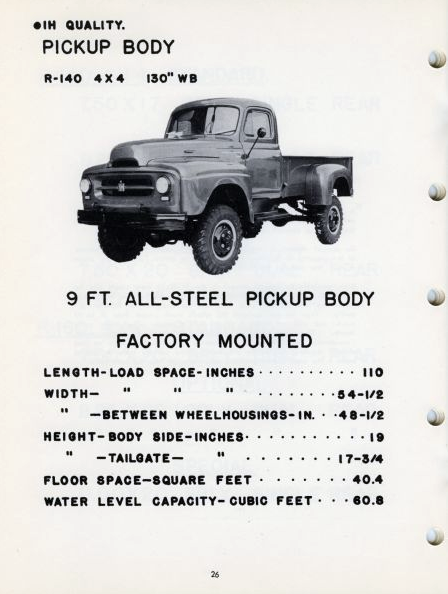 International’s R-140 chassis played host to a number of body configurations, including a pickup truck. Like the L line, the R had a wide cab for three-across seating and a curved windshield for better visibility. The R had a simpler grille than the L, which gave it a cleaner, more modern look. Although International produced a steel-bodied Travelall wagon, it was smaller and not available as a 434. The Army Corps special ordered three larger wood-bodied wagons from Mid-State Body Company of Waterloo, New York. All three identical wagons were built with ash framework and mahogany panels. To cope with frigid North Dakota winters, an additional rear heater and extra body insulation were ordered. 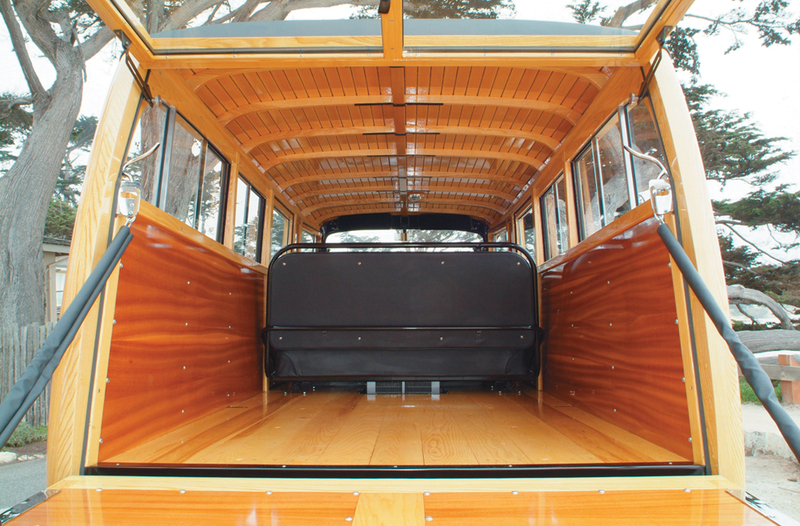 The 130-inch wheelbase provided ample room for two vinyl bench seats and a cavernous cargo area. More gear could be carried on the roof rack. When photographed, our featured vehicle was owned by Gary Cox of Corona Del Mar, California, in partnership with Marc LaRocque, who did the restoration. (The truck has since been sold at auction.) In 2004, the wagon was found behind a barn in Montana. As often happens to farm vehicles, most of the original body aft of the windshield had been removed. Fortunately, the four original doors were recovered. Even more fortunate, the other two Army Corps “woodies” have also survived. With one of the surviving wagons serving as a pattern, LaRocque was able to reconstruct this one. The dry Montana air was kind to the International’s sheetmetal, and there was little rust. Plus, the original engine was still in place and there were only 41,000 miles on the odometer. The restoration took 18 months, with LaRocque doing all the work except paint and varnish. 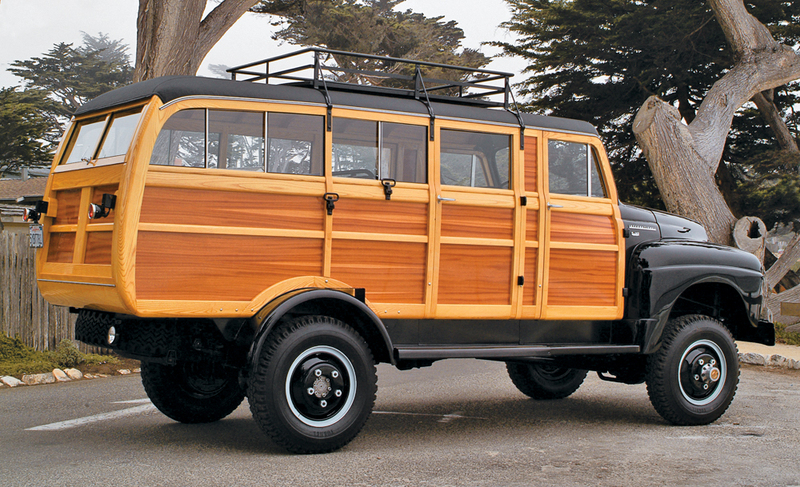 The truck won Best in Class at the 2008 Carmel Concours and Best in Show at the 2008 Santa Barbara Woodie Club show. 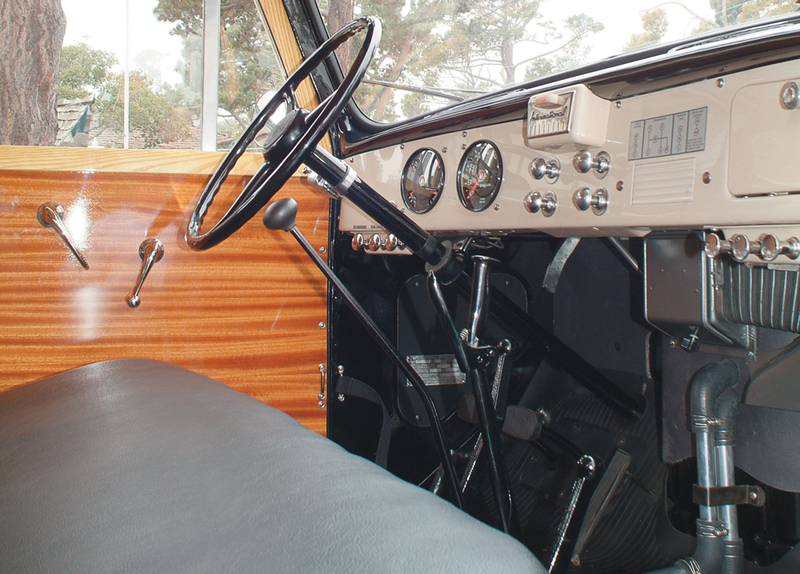 The International runs as well as it looks, with a cruising speed of 45 mph and a top speed of 60—very good for an off-road vehicle weighing more than four tons. Just as important, it has good brakes. Written by: Jack Stewart on July 27, 2018.on March 22, 2019.